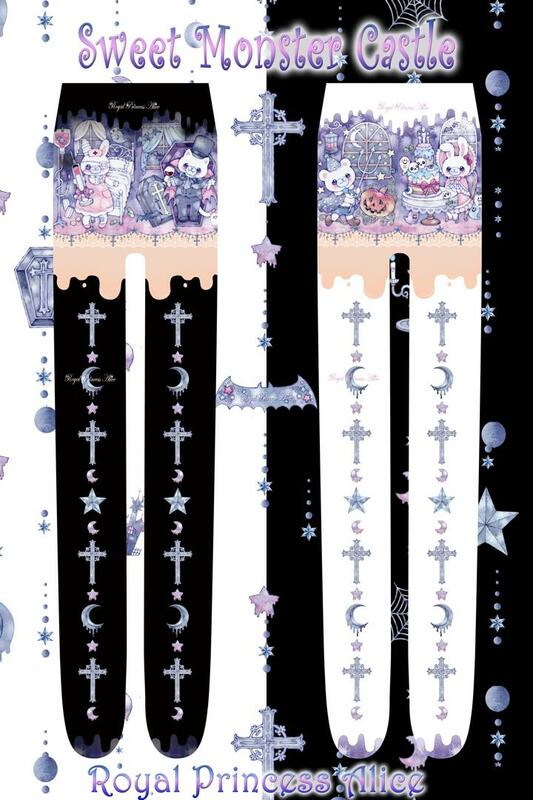 New hot mess coming to you in time for Halloween, Having mixed feeling about Royal Princess Alice's new print Sweet Monster Castle. It's too bad when prints get a bit to seasonal, limiting when it feels appropriate to wear it. 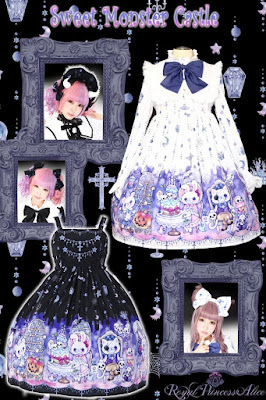 For example my lavender Candy Treat jsk from Angelic Pretty looks great for Halloween coords but I can wear it for the rest of the year also. I think this would of been better if they just skipped the boarder print and went with the simple style of the rest of the print. They don't seem to go together at all anyways. The cuts are as always from RPA boring and very meh. The font picked for the print name is so bad I don't even know what to say. Why not just use comic sans while you are at it? And I really understand why people are tired of crosses on everything and this time of the year its just going to get worse. 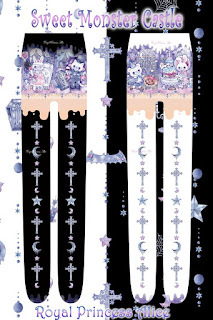 The front part of the collar is fine but the back part goes way to far down for being that plain. Shorten it or put a design on there! As always there is a lack of trim around the bottom of the skirt part. Get it together Royal Princess Alice, step it up.